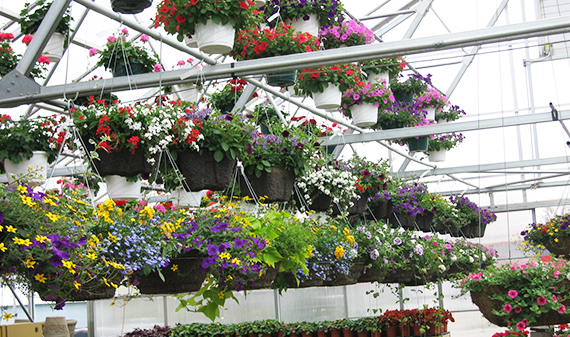 We offer a full-service garden center with a wonderful variety of flats and potted annuals, perennial flowers, mixed containers and hanging baskets in a wide variety of color combinations and sizes. We carry hundreds of varieties of annuals. 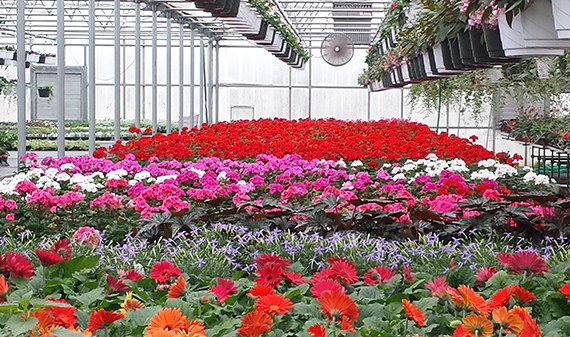 Annuals are a popular choice for many of our customers since they grow, flower and die in the same season. In addition, they bloom quickly and provide a long season of blooms - allowing you to enjoy beautiful colors each season. 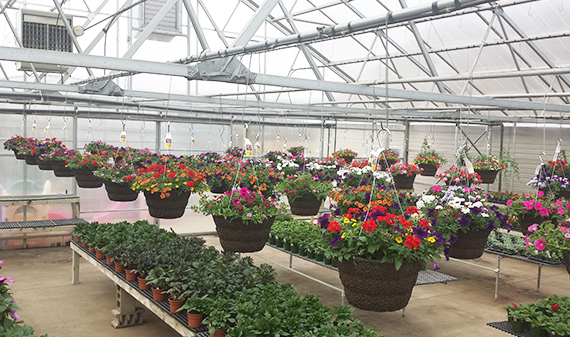 In addition to flats of annual flowers, we also carry a wonderful selection of mixed containers and hanging baskets in a wide variety of color combinations and sizes. 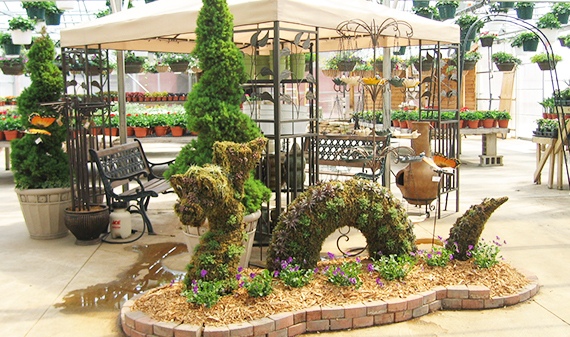 We carry hundreds of varieties of perennials. Perennials are another popular choice among our customers since they are plants that produce flowers and seeds more than one time in their lifespan - therefore living for more than one year. 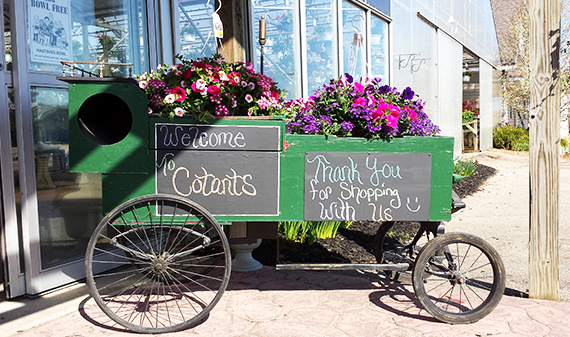 Year after year, you can count on the perennials you purchase from Cotant's to fill your home garden beds and borders with beautiful colors and foilage. Select from our full palette of colors and textures to create the perennial garden of your dreams - for years to come! 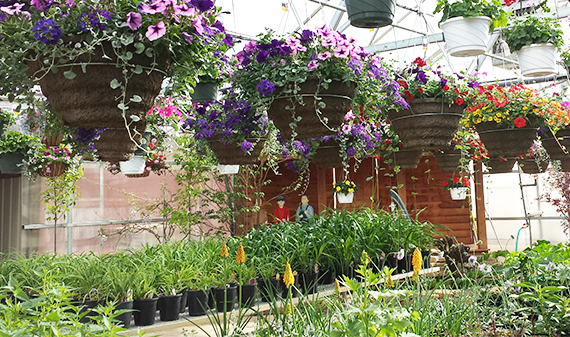 Our knowledgable garden staff is always here to help you to select the right perennials! We stay busy all winter growing your favorite annual and perennials to brighten your yard, your home and more importantly, your life!